Dr. Jamshidi is a native of Northern California and holds degrees in physics and chemistry in addition to his medical doctorate degree. He attended UC San Diego on full academic UC Regents scholarship and spent a year at Harvard University as a Visiting Undergraduate Scholar. During medical school in Colorado, he served on the physics faculty at the University of Denver. While at UC San Francisco for surgical residency, he spent two years as a fetal surgery fellow and postdoctoral researcher, concentrating on medical device design and surgical education. Concurrently, he was on the physics faculty of University of San Francisco. Following general surgery training, he completed pediatric surgery fellowship under the mentorship of Drs. Keith Oldham and Thomas Sato at the Children’s Hospital of Wisconsin in Milwaukee. In 2012, he joined Pediatric Surgeons of Phoenix. Dr. Jamshidi is Board Certified in General Surgery and Pediatric Surgery and is a Fellow with the American College of Surgeons. His particular clinical interests are in endocrine, thoracic, and vascular disease as well as trauma and oncology. Active research efforts focus on three areas: physical science in medicine (such as device design), medical education, and clinical outcomes. Global health is another frequent activity of Dr. Jamshidi–he was named a Global Health Scholar at UC San Francisco and has ongoing relationships with groups in Guatemala and Peru. Dr. Jamshidi lives in Phoenix with his wife and child, spending as much time as possible in the outdoors. They enjoy combining healthcare knowledge with outdoor experience to serve in global health and wilderness medicine roles. Dr. Jamshidi is fluent in Spanish and Farsi (Persian). 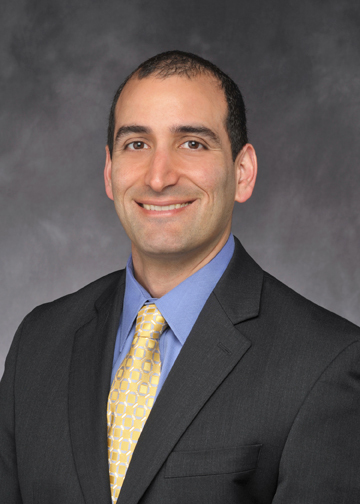 He joined Pediatric Surgeons of Phoenix in 2012. Pediatric Surgeons of Phoenix offers care that has been designed for young patients. We are the largest pediatric surgical practice in Arizona with nine fellowship-trained pediatric surgeons. We provide 24/7 pediatric general surgery care at Phoenix Children's Hospital, HonorHealth Scottsdale Shea, St. Joseph's Hospital, and Maricopa Medical Center.